frist Of All Mash The Potatoes Very Well & Put Then In A Bowl . Then Crumble The Cheese Well & Mash With Potatoes. Know Soak The Bread Slices In Water For 2 To 4 Min. & Squeeze Out The Water. Know Put Green Chillies,cabbage ,onion, Red Chilly Powder, Salt,sugar In The Potatoes& Cheese, Mash Them All. 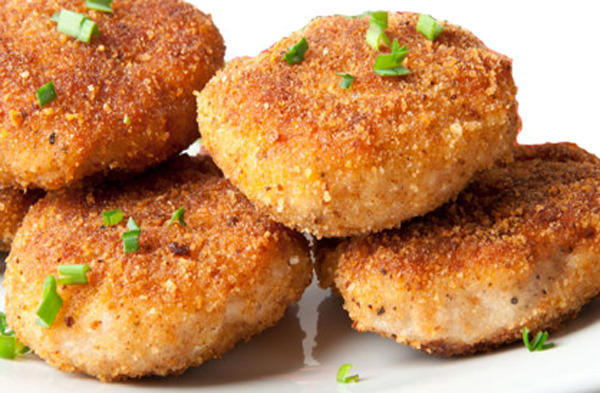 Dip The Cutlet In The Corn Flour Paste & Then Coat With Bread Crumbs. Deep Fry In Oil & Serve Hot With Tomatoes Ketchup.